Our 30 acre Husky Ranch is located on Lake Wedowee in Alabama. With 7 pens, our huskies have plenty of room to run and play. We have 6 whelping areas which are 6’x6′ in our 12’x54′ kennel. Most of our Sires and Dames have been raised by us since they were just puppies and are very loved members of our family. Our main goal is to produce very healthy AKC puppies with great temperments and good bloodlines. With the right testing we have our prospective Sires and Dams evaluated for common genetic health problems. 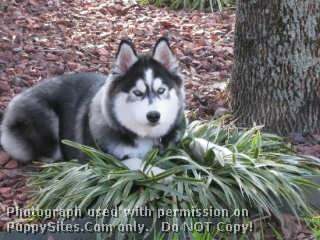 We are a Siberian Husky kennel located in Gadsden, Alabama, been in business since 2004. Our Huskies are very intelligent, easy to train, very sociable, and just love humans. If you don’t believe it, just come by and visit with them! We promise that they will be thrilled to see you. You can socialize with them personally if you want to. They love the company! Our puppies are $700.00, includes sales tax.We would very much appreciate your business! We have plenty of references available, including our vet. View our available puppies today and contact us to reserve your new family member! Southern Siberian Life – We raise AKC registered Siberian Husky puppies in Union Grove Alabama.